After a weekend full of hockey, I sat down Sunday evening to take a look at the news I had missed for the last few days. After filtering through all the news about the Bills and something about an awards show, I saw that John Young died. Who was John Young? 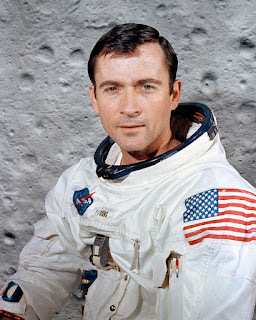 John Young was one of my earliest heroes. Back in April 1981, the Space Shuttle Columbia flew into space for the very first time. The teachers at Washington Hunt assembled all the classrooms into the cafetorium where we watched the launch on television. From that moment, I was hooked on the space program. 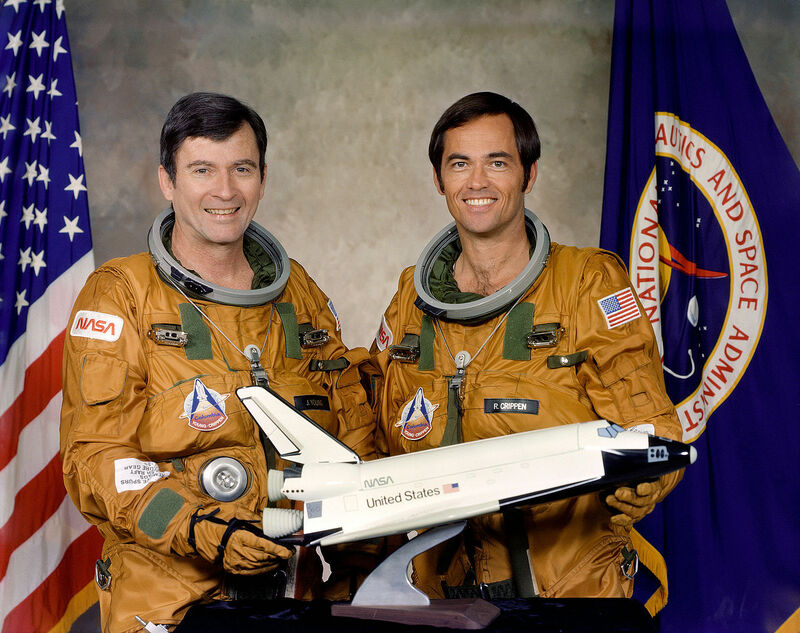 Young was the flight commander and Robert Crippen was the pilot for that launch. Young was the most experience astronaut in the corps at that point. After watching “The Right Stuff” when it came out in 1983, I was all-in on the space program, especially the Mercury Seven and the Apollo astronauts. We landed on the moon? How cool was that? Yes, I was obsessed with all things space. Considering that Young and Crippen were making the first flight on a system that, while tested, had never been proven in actual flight and return. All those early astronauts were badass. They were pioneers. Of course, being a reader, I read everything I could find out on the American space program. Those were the days when going to the library for research meant looking through a card catalog on index cards. Those were the days. Kids today have no idea. Anyway, it was through that research that I found out that John Young’s career was long and illustrious. That included being the ninth person to walk on the moon. John Young was a member of Astronaut Group 2, otherwise known as “The New Nine.” Young’s first flight was as pilot of Gemini 3, the first manned flight of the Gemini Program. He flew with Gus Grissom and snuck a corned beef sandwich into space. Young flew again on Gemini 10, this time as commander, with Michael Collins as his pilot. The duo performed another first for the program by rendezvousing with two different Agena boosters while in orbit. Young continued being assigned to space flights as NASA moved from the two-man Gemini Program to the three-man Apollo program. Aside from backup assignments for other crews, Young was named Command Module Pilot of Apollo 10. This flight was the full dress rehearsal for the moon landing on the next flight. Thomas Stafford and Eugene Cernan undocked the Lunar Module and flew within 48,000 feet of the lunar surface. Meanwhile, Young was one of the lonliest people in the universe, commanding his vessel all alone for seven hours, all while being 221,000 miles from Earth. After all these feats, what else could there be for Young to do? Land on the moon, for one. He was assigned as Commander of Apollo 16. They visited the Descartes Highlands with Charlie Duke, and spent three days on the moon. While on the moon, Young got to drive the lunar rover. How this guy wasn’t a hero to more people astounds me. He did everything many of us can only dream of. In November 1983, Young flew into space for the sixth and final time as commander of the Space Shuttle Columbia. At that time, it was the largest, manned space mission ever. The flight also made Young the most experienced person in space flight at that time. He was in line for a seventh flight in Atlantis in the summer of 1986, but the Challenger disaster delayed the schedule, and he retired from flight status before those flights were made up. From March 1965, when he flew in Gemini 3 until November 1983, when he commanded the Columbia, John Young flew two missions in Gemini, two in Apollo, and two Space Shuttle missions. During that time, he spent almost 35 days in space. He is one of only three people to have flown to the moon twice. John Young died January 5th of complications from pneumonia. He was 87 years old. In those 87 years, he did far more than most people could ever dream of. He reached for the stars and touched them. His footprints will track across the surface of the moon for millions of years, probably far longer than humanity will last. For all intents and purposes, the steps he made nearly a half century ago will last forever. When I was younger, I wanted to be John Young. I wanted to be Buzz Aldrin. I wanted to be Neil Armstrong. Not only would I visit the moon, but I would leave my footprints behind on the Martian surface and maybe an asteroid or two. It was because of people like John Young that I dared to dream. For me, those dreams come out on the paper. I can visit any world with my imagination. Young not only imagined, he believed. And he accomplished. He paved the way for another generation to come along and stretch the boundaries just a little bit more. Somewhere, there is a child, maybe even yet to be born, who will learn of Young’s endeavors. He or she will will dream of the stars and go farther than we ever have before. Craig Bacon is going to watch "From the Earth to the Moon" now.